With a kid who goes to sleep early and my own pregnancy appetite, my husband and I are always in need of an evening snack. 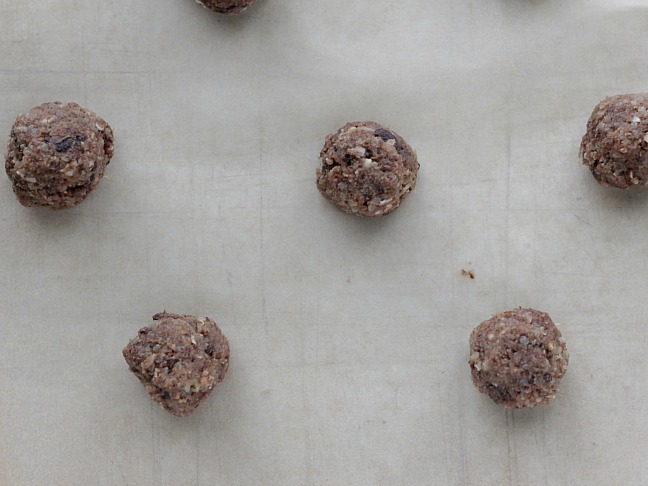 This healthier take on a chocolate chip cookie is one of our go-to weeknight treats. 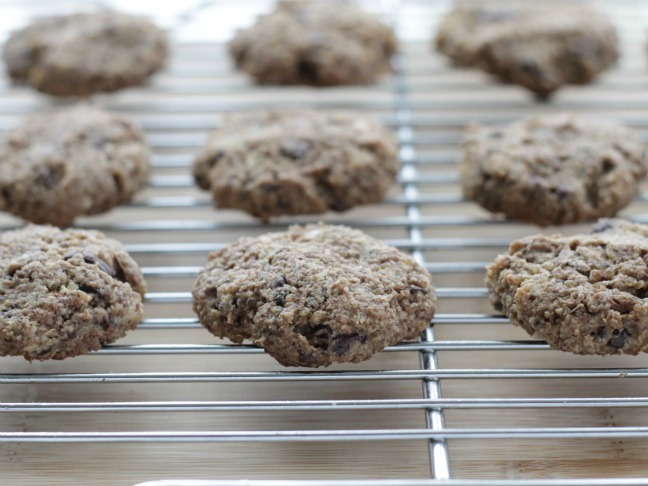 These cookies have whole grains and a little protein, and come together in one bowl, so they are incredibly easy to make. And when you regularly eat family dinner at 5:30, these chocolate chip quinoa cookies definitely hit the spot come 9:00 PM. 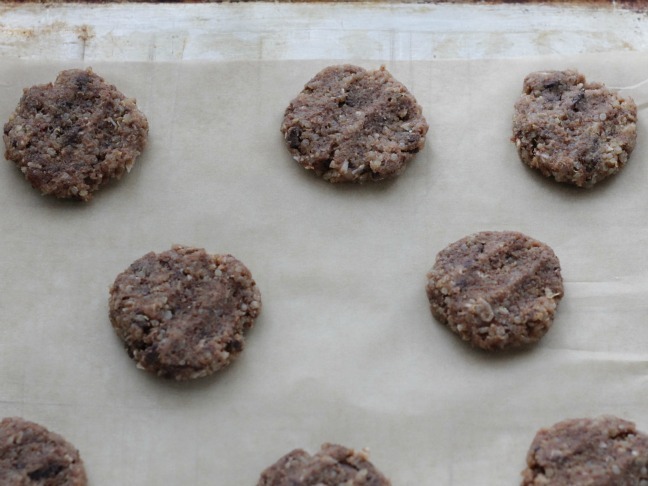 The thing I love about these cookies is that they store extremely well in the fridge or freezer. We actually prefer them served chilled, alongside milk, and it’s nice to be able to have a jar on hand for whenever we want a sweeter snack. You will need to make the quinoa ahead of time so that it can cool, but you can do that step three to five days ahead of time and store it in an airtight container in the fridge until you’re ready to bake. Adding quinoa to this recipe adds nice texture and a pleasing moistness—along with protein and complex carbohydrates. I like to buy almond flour and coconut oil from Trader Joe’s since they consistently have the best prices, though you can get both in most supermarkets now (check the gluten-free and/or natural sections). Otherwise, the rest of the ingredients are many of the standard pantry staples that you’d usually turn to when baking cookies. One trick that I like to use when baking chocolate chips cookies is to grind up the chocolate chips a bit so you get more chocolate flavor in each bite. This means that you can use a little bit less without losing out on the flavor you crave. I opt for dark chocolate chips whenever possible since they deliver the best flavor in a cookie like this. 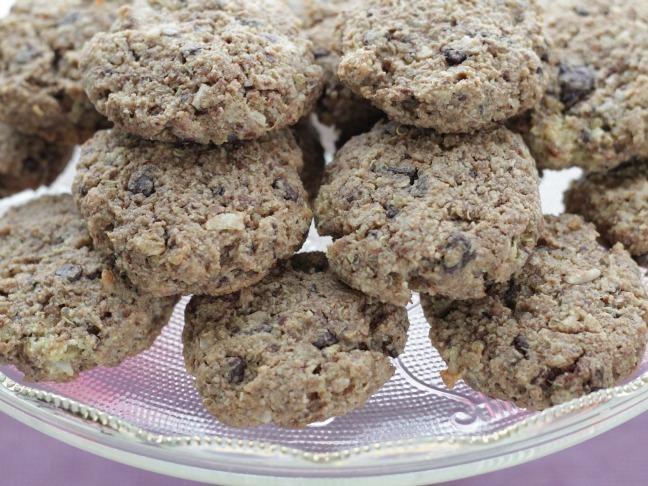 Enjoy these gluten-free chocolate chip quinoa cookies as a late night snack, send them in your kid’s lunch box, or share them with friends. And don’t forget the milk! Step 1: Combine all ingredients in a bowl and mix thoroughly with a spoon. Step 2: Chill in the refrigerator for 30 minutes and preheat the oven to 375 degrees F.
Step 3: Line two baking sheets with parchment paper and portion out 1-tablespoon size balls of dough. Roll each one into a ball, then flatten slightly. Step 4: Bake for 14-16 minutes or until just starting to brown at the edges. Let cool on the baking sheet for at least 10 minutes before transferring to a wire rack to cool completely. Step 5: Serve immediately or store in the fridge and serve cold.